Finding the right water filtration system for your needs can be tricky. But at Superwater, we're here to help. In fact, we've put together a collection of helpful guides to get you started. One of our most popular guides is "Why Buy from Superwater?" This guide will lead you through the many reasons why we're one of the largest and most trusted online retailers in our industry. For example, did you know that we've been in business for over 18 years and have well over 500 loyal clients? We also offer added benefits that you might not realize, like fully insured shipments and toll-free customer support. All this and more can be found in our first helpful guide. 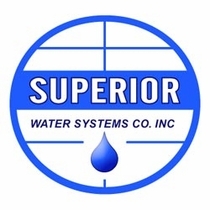 At Superwater, we recognize that many of our customers like to know as much as possible about the products they're buying. That's why we willingly provide additional information about our residential and commercial water filter systems. 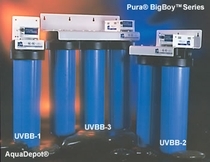 In fact, we have a dedicated guide just for our Everpure T20 whole house filtration system. You'll learn all about this specific water system, which happens to be one of our most popular product lines. You can also use the Everpure fact sheet to learn more about this specific brand's offerings. This guide will help you learn about different filtration methods so you can select the right option for your needs and your budget. And if you'd like to know more about a different system or product not covered in our guides, such as the Oasis water cooler, the Aqua Pure hot water faucet or Cuno water filters, our customer support team is available to answer your questions. You can call us toll free at 1-866-WATER2U or contact us via email at support@superwater.com. We are committed to your satisfaction, which includes helping you find the right products from the many options on our site.